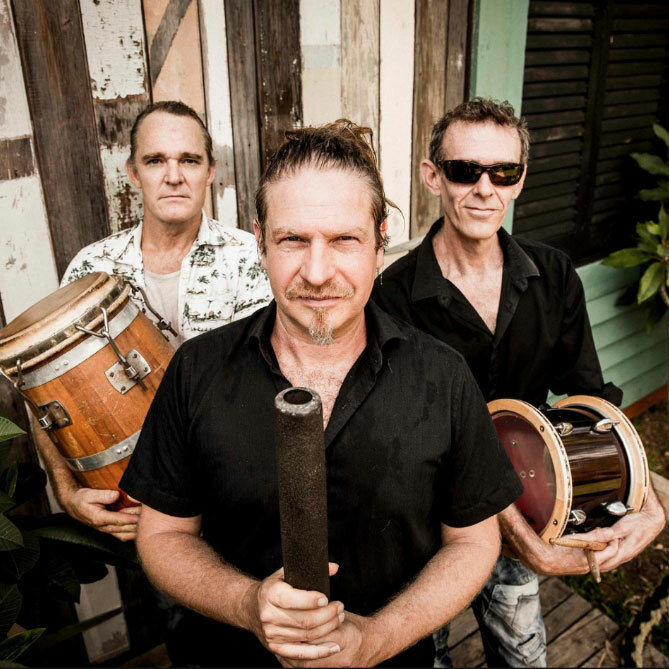 Blending the ancient, soul stirring sounds of the didgeridoo with modern dance beats and tribal grooves, Wild Marmalade are Australia’s favourite Drum ‘n Didge band. They create passionate and inspired, totally live, organic dance music. Wild Marmalade is Si Mullumby’s rhythmic didgeridoo combined with the explosive Matt Goodwin on kit and log drums. Wild Marmalade are proven players in the world dance music scene. In 2008 they played on the mainstage at Portugal’s Boom festival, for a fire ceremony at a Shinto temple in the mountains of Japan and in a park with one thousand dancers in Austria. Wild Marmalde have played in the world’s biggest nightclub, Ibiza’s Privilege for Manumission and worked with Cirque du Soleil in Las Vegas.